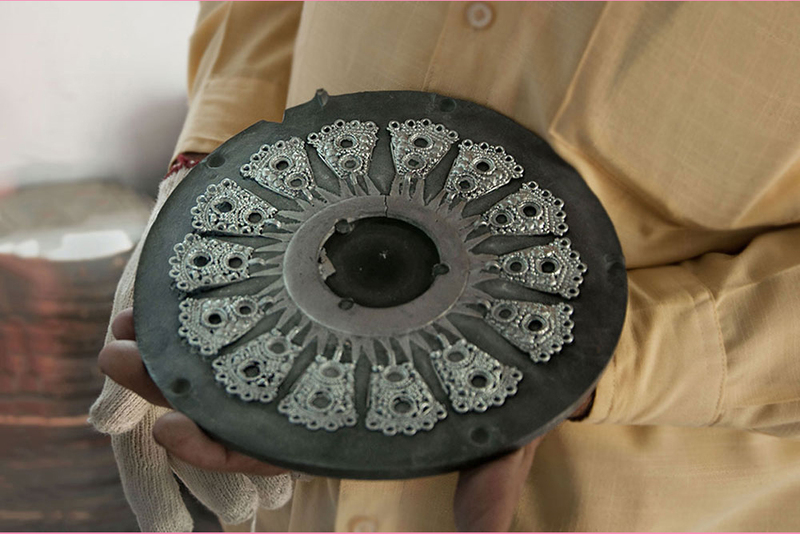 Most of the traditional jewellery is handcrafted with the personalized designs others are executed by the casting machines. 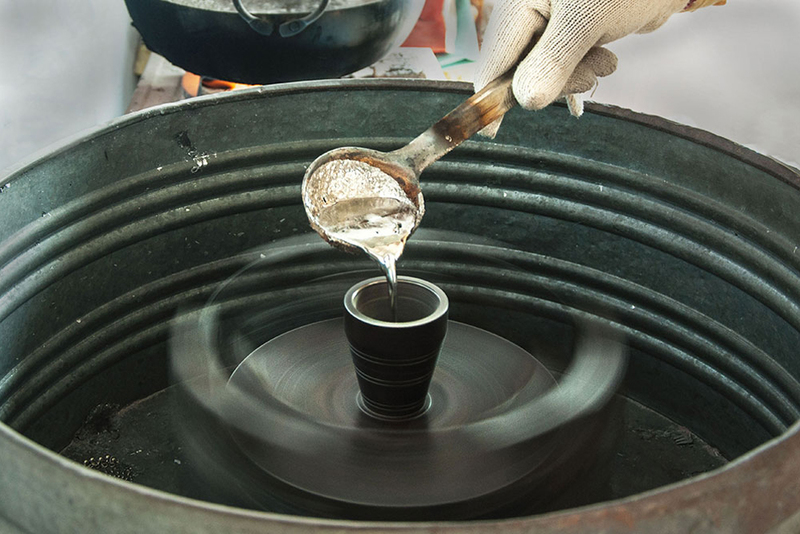 In the casting machines firstly the designs are sketched with the basic concepts with the rough design to create the original piece of Jewellery. 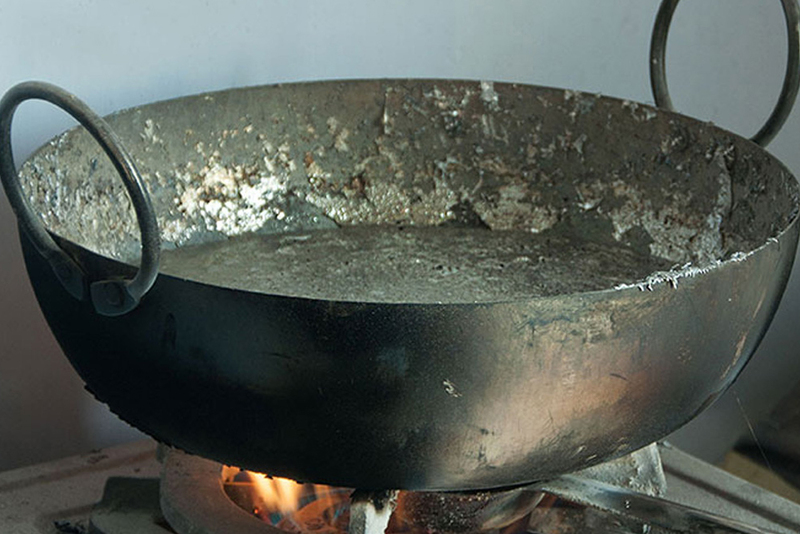 The material to be casted is broken into smaller pieces and heat is provided so that it is melted easily on the stove with LPG connected to it. 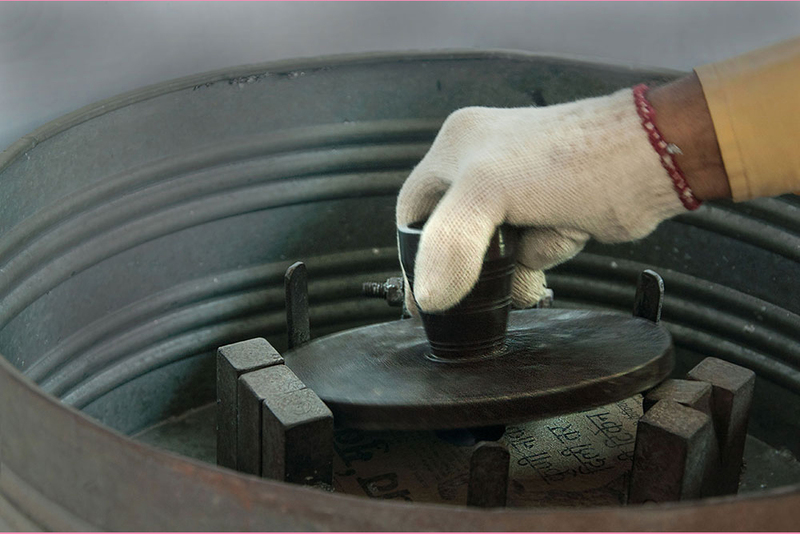 The melted material is directly placed on the direct flame and poured to the inlet of the imitation jewellery casting machine that has the rubber mould with the design engraved to obtain the required pattern in the rotary motion. 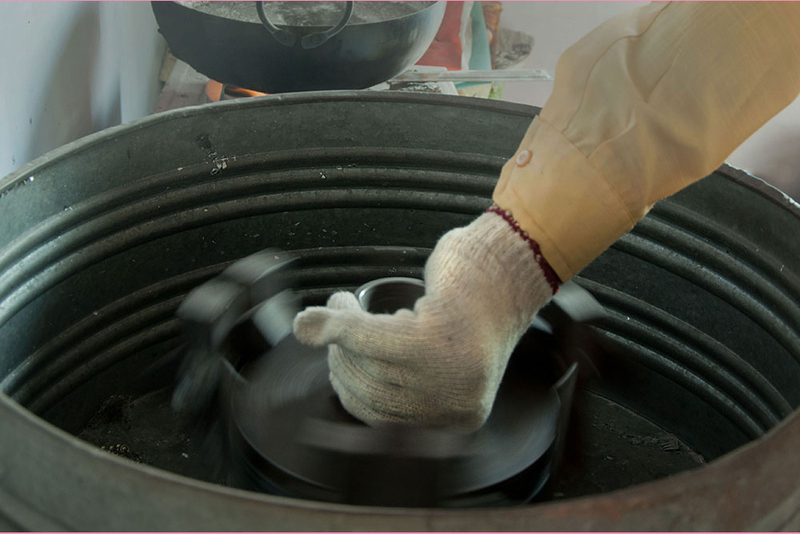 The machine is stopped after few seconds and then the casted material is separately removed by wearing the woolen hand gloves. 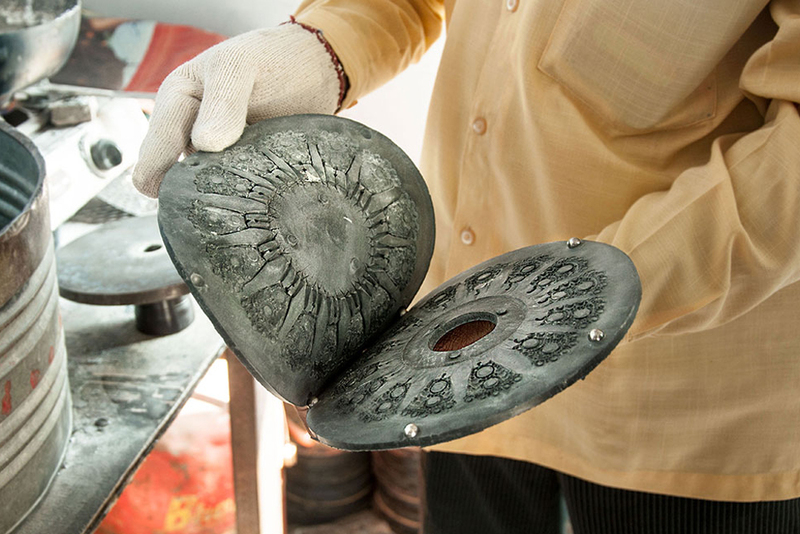 The imitated casted material is further sent for polishing and silver coating and then for attaching of the ghungroo (locally called) smaller parts and coloured decorative stones to complete the pattern of the designs. 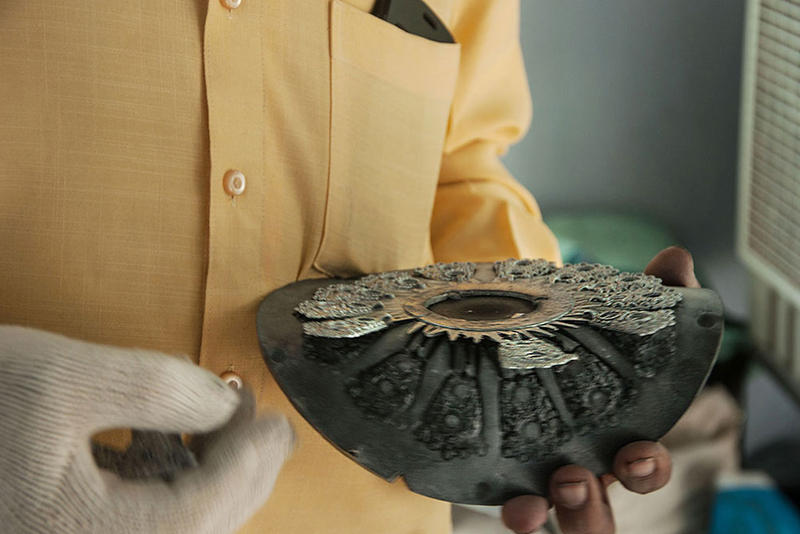 After making these traditional ornaments, the artisan gives it in whole sale as it is more sold in the local markets.